Vital Image Photo's bright and airy photographs combined with a relaxed and intimate style aims to capture the heart and beauty of each and every wedding it covers. Having photography as his passion for the past 6 years, Jonathan Paul Vital is a Laguna based fine art wedding photographer, he easily fell in love with weddings for its intimate emotions and joyous memories, blending it with rich and vibrant colors that is evident in his photos. He elevates his work to more than just wedding photography, he pursues to create art from it. The brand concept is all about modern, simple, serious and classy look. 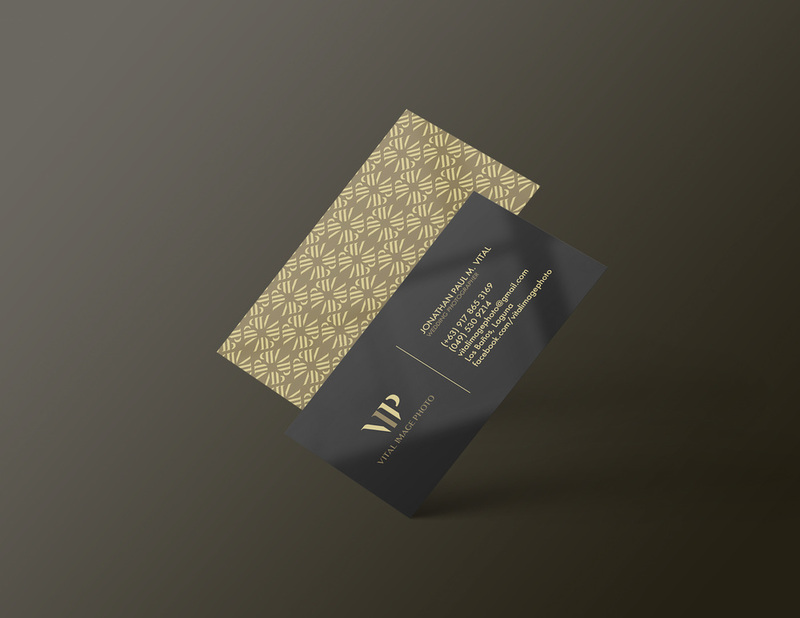 We applied also the color of gold to symbolizes the luxury feel of the brand.